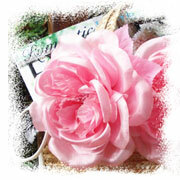 Here's a nifty way to use fresh flowers and muslin or lightweight cotton to make your own fashion accessories or gifts. 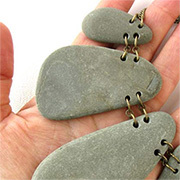 If you own a Dremel Multitool and are looking for craft ideas that can make you money - try making your own pebble and stone jewellery. 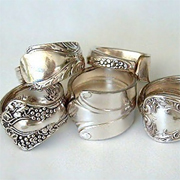 Use baking powder to clean your jewellery when combined with sea salt and aluminium foil. The combination of these three ingredients creates what is known as ion transfer - a chemical process that can be used to clean jewellery. 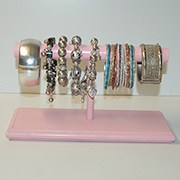 I made this bracelet hanger for all my bangles and bracelets. The design is very simple and I have provided different finishes in a wood tint or using Rust-Oleum 2X spray paint. Nail polish usually ends up tossed into the bottom of drawers or crammed into a make up bag. With this Nail Polish Carousel you can have all your colourful bottles within easy reach. 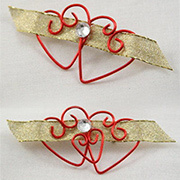 This crafty Valentine's heart brooch is so easy, the kids can make one for mom or for a sweetheart. 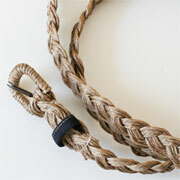 Paracord has become popular in jewellery making. 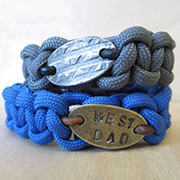 In this tutorial we show you how to make a paracord bracelet that is a great present for anyone! 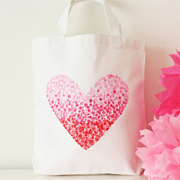 Make your own cotton tote bag or dress up a plain tote bag with a handmade stencil and some colourful acrylic craft paints. These delicate enamelled flowers are easy to make once you master the technique, and would be perfect for anyone who likes making their own jewellery. 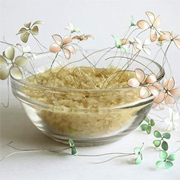 Make enamelled flowers for bracelets and necklaces. 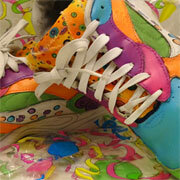 Fabric markers = Colourful takkies! Sharpie pens are available in South Africa, and one of the fun products in the range are fabric markers. 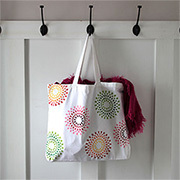 You can use Sharpie fabric markers on almost any fabric to add a colourful design to cushions, t-shirts and... takkies. 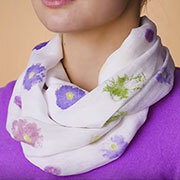 You can make an infinity scarf from a t-shirt, or you can use any fabric that has stretch. After seeing how easy it is to make an infinity scarf you'll be chopping up old t-shirts and shopping for fabric scraps to make for yourself and your friends! 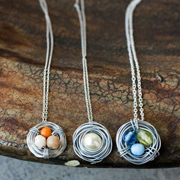 These birds nest necklaces are gorgeous - and so simple to make. You can add different gemstones or birthstones for your BFFs. You don't need fancy sewing skills to be able to make this summer wrap. Hats off to the designer of this summer wraparound for the simple design that makes dressing for the beach a wrap! 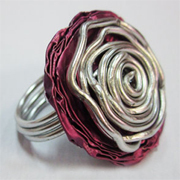 So following on from our feature on recycling nespresso cups and how to use those nespresso foil cups, here is a project that shows how to make a nespresso ring. 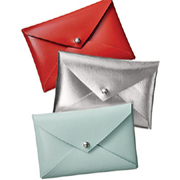 Show some personal style when handing out your business cards with one of these quick and easy business card wallets. 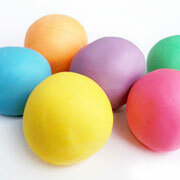 You can also make up a few - they make great presents for family and friends. There are so many ways to take last year's winter woollies and add a new spin on the look with a few embellishments or trim. Here are some great ideas that I can across on extending the life of your closet with hardly any effort at all. This season don't just pop on a pair of boots - make a style statement with glitter and add pizzazz to those old boots. All you need is a can of Rust-Oleum Glitter spray. This stylish suede bag can be yours in an hour. It's a simple project that only requires one basic tool - a multi-hole punch that you can buy at craft and hobby stores, or a scrapbooking supply store. 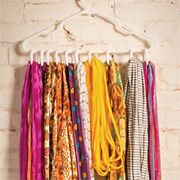 If you have limited closet space, this is a fun and inexpensive hanger project for organizing your scarfs. 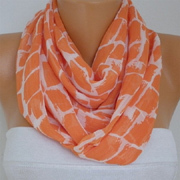 This will allow them to stay organized and it will be easy to pick out your favorite scarf for the perfect outfit. 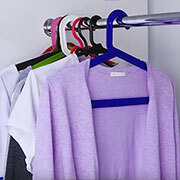 Use plastic wire coat hangers to make a scarf rack for your closet. 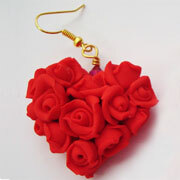 This is a great idea for a Mother's Day gift, or a gift for any occasion. It's also a nice idea to gather your closest friends and have a girl's day. 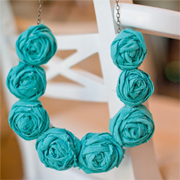 This fabric rose necklace is easy to make and looks stunning once finished. 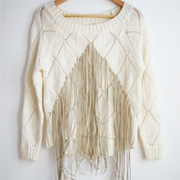 I saved this fringe top to my pinterest a while ago because it looked like a DIY version that would be pretty simple. It wasn't until a fellow Pinterest fan commented on it, asking for a tutorial that I actually tried it out. 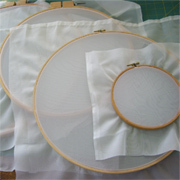 Screen printing with old net curtains or nylon stockings is a fun and easy way to add detailing to plain cotton t-shirts and children's clothes, as well as add print onto fabric for making your own cushions, etc. 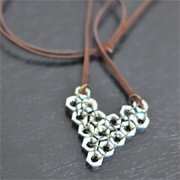 I love strolling through my local Builders Warehouse and constantly get ideas in the most unusual ways, but I do like this project by I try diy which uses hex nuts to make a pendant. If you're a DIY fanatic like me, you might appreciate this one...! 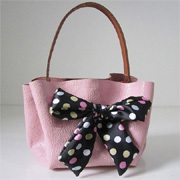 Love these projects that transform a plain cotton tote bag into stylish accessories. This is an affordable DIY gift idea for any occasion and a unique idea for kitchen tea or baby shower gift bags. Make a scarf for nothing...! Dressing up for an occasion doesn't have to be something that takes hours and hours. 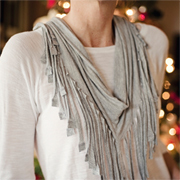 This fabulous scarf is made from an old t-shirt, and will cost nothing to make, yet put a finishing touch to whatever you decide to wear. This project was originally intended to be a Kids Craft project, but I have an old pair of takkies that would look great painted in bright colours... so now this project is for grown-ups as well...! I have just discovered The Bina for the first time. This amazing design is a single piece of fabric with a couple of slits and a few press studs, and with this single piece of fabric you can create 12 different outfits. 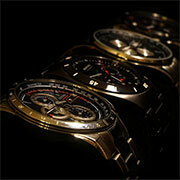 You can buy online, or you can give it a try and make your own. Summer is here and it's great to be able to dress up casually in a pair of flip-flops. 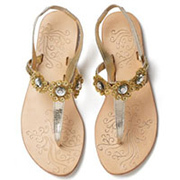 But flip-flops don't have to look like something you only wear at home. 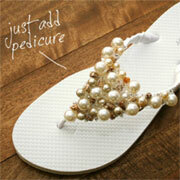 Here's a way to dress up your flip-flops and wear them almost anywhere. No sew hem for jeans... for us shorties! Does anyone else have the inconvenience of having to buy jeans that are too long? If you come in under 1,6 metre I am guessing you’re nodding yes. I am happy to report I found a no-sew-required solution that actually looks great, and not like a hack job. 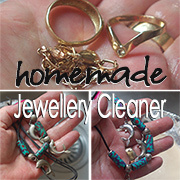 There are so many ways to make your own designer jewellery... and these days anything goes. 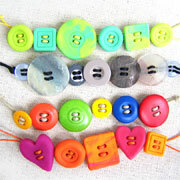 Here's a selection of button necklaces, plus we have a link to show you how to make your own rolled paper beads. Who would ever guess that this colourful beach cover-up started out as a plain white T-shirt? Just shows what a little imagination and clever cutting can do! You can create this vibrant cover-up net dress by just snipping up a T-shirt and giving it a stunning dye treatment. In this feature you will find out how to make your own buttons using cold porcelain clay, whether for sewing and decor crafts, or for creating your own unique button bracelets. It's quite simple to make your old cold porcelain. Cold porcelain is an inexpensive, non-toxic, clay-like material that is easy to work with for small projects and substitutes bought products nicely. Cold porcelain does not require heating, since it hardens by exposure to air. Pleather or plastic belts don't last long and sooner or later you end up tossing them out. 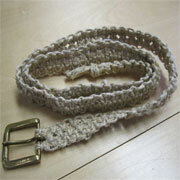 But before you do, why not use the belt buckle and some twine or cotton rope to make your own custom belt. ipad clutch holder with fabric and duct tape...! Here's how to make a quick and easy yet stylish ipad clutch holder with nothing more than a scrap of fabric and some duct tape. 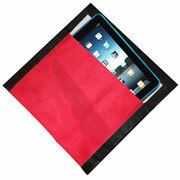 You can use any fabric for this ipad clutch holder, but the thicker the better. We use a red faux suede to make this ipad clutch holder. Summer’s almost here, which means we’re ready to slip into our trusty denim cutoffs again. But this summer we couldn’t help but add a little DIY magic to our old jean shorts. Still trying to use up those rolls of rope that I bought for various craft projects posted in the Craft and Decor - Lighting sections. I like this project that uses twine to make a plaited twine belt, and what's nice is that you can always dye it if you want to add some colour. A new way to lace up your shoes...! 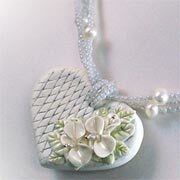 The most popular clay craft is making jewellery, because let's be honest, it's not always easy to find what you are looking for at the right price. 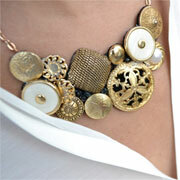 Plus, with clay you can create truly one-of-a-kind jewellery. 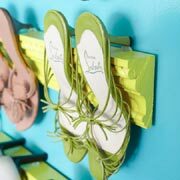 Now this is one great idea for storing all your shoes, so they don't get spoilt, are easy to get to, and are on display so that you can drool over them as often as you like! 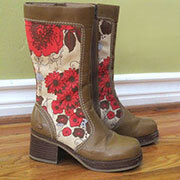 I love this idea for dressing up old boots. What a new way to give your boots a trendy look. I've already sprayed my boots with Rust-Oleum vinyl spray to refresh them, now I need some cheapie boots so that I can try this out. I came across a great idea at Carry on - carry on for dressing up a scuffed pair of shoes with lace. What a great idea for giving shoes a makeover! This weekend I made my very first ever clay necklace. Although a bit simple in design, I like the rose design and you can bet I can only get better as I make more clay jewellery. Like many bloggers I carry my camera almost everywhere. 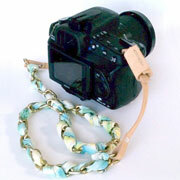 Lugging around a DSLR can be a pain, but it’s much more fun with straps that feel like a cool accessory! They're fun and if you shop around, they're cheap, and you can use silk flowers in so many different ways, and if you're crafty - you can make your own fabric flowers to dress up and adorn so many accessories. Make sure your beach bag is as gorgeous as you are this summer. A simple straw basket with plain leather straps suddenly becomes a thing of beauty when you add some material, a bow and some pyrography. Almost too good for the beach, you'll be wearing these from dawn to dusk - and quite possibly on into the evening. 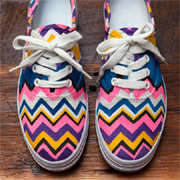 So, buy a few inexpensive pairs the same and decorate them differently to design an entire wardrobe of summer shoes. Search your tool box or kitchen draw and turn safety pins, washers, copper wire – even small coins into amazing pieces of jewellery. 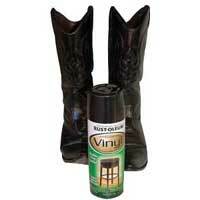 To find out just how good rust-oleum spray for vinyl really is - I sprayed my boots. Two years on and they still look good ! Here’s how to find personal hobbies once you become a parent.